What to eat in Kars? Where to go in Kars? What to do in Kars? What to buy in Kars? Kars, standing at an altitude of 1750 meters in Eastern Anatolia, has played an important role in Turkish history and was at the center of the Turkish-Russian War. The Russian legacy can still be seen in much of the town's architecture. The lower city unfolds at the foot of an impressive Seljuk fortress of the 12th century. Nearby, the Havariler Museum (the 10th century Church of the Apostles) reveals a curious mixture of architectural influences. Bas-reliefs representing the twelve apostles in rather stiff and awkward poses, ring the exterior drum of the dome. The Archaeological Museum houses beautiful wood-carvings, an excellent collection of coins found in the surrounding region, as well as many ethnographic items relating to eastern Turkey. Kars is particularly known for its distinctive kilims and carpets, and it retains a strong heritage of folk dancing. Visitors always seem to enjoy this traditional entertainment. On the mountain pastures, villagers produce excellent Kasar cheese (yellow cheese) and delicious honey. The Kur river divides Ardahan and separates the ancient part on one side and the new city on the other. A 16th century castle built by Sultan Selim the Grim, one of the most stately citadels in Turkey with 14 towers and a span of 745 meters, stands in the old part of the city. Cildir takes its name from the nearby lake which lies at an altitude of 1965 meters. The scenic area around the lake provides a habitat for a fascinating variety of birds. In the lake, the man-made Akcakale Island was reputedly constructed with the labor of thousands; a temple with Urartian inscriptions remains. Seytan Kalesi (Devil's Castle) is near Cildir. Sarikamis (53 km southwest of Kars) is a ski center with resort hotels, setting of a scenic pine forest. On 19th of October 2004 Allahüekber Mountains were declared as the 34th National Park of Turkey by the Government so it's believed that it will attract more visitors and help to the local economy as well. 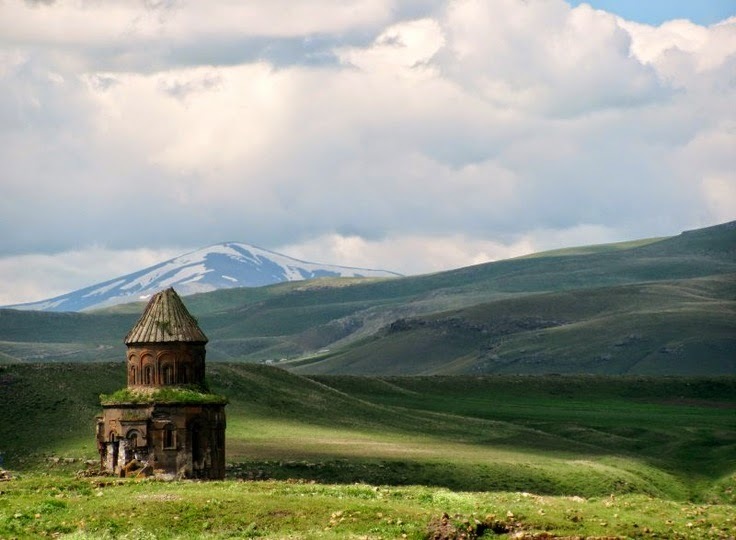 Ani is an important archeological site at the border and is full of Armenian churches. a certified professional tour guide in Turkey. Contact Burak at [email protected] for all kinds of regular and/or private travel services throughout the country.